P. Michael Iuvone began serving as director of research at the Emory Eye Center beginning in September 2009. 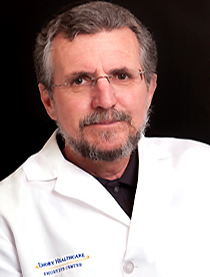 Originally from New York, Dr. Iuvone came to Emory in 1978, serving in the pharmacology department, and was promoted to full professor in 1990. He held a joint appointment in ophthalmology from 1980. Iuvone is a leader in numerous research organizations, such as the Association for Research in Vision and Ophthalmology (ARVO) and the International Society of Eye Research. He currently serves as principal investigator on a NIH grant that deals with retinal function, which provides basic science information relevant to eye diseases such as age-related macular degeneration and diabetic retinopathy. He is also principal investigator of a training grant from the National Eye Institute (NEI) and of an NEI core grant, that supports research of vision scientists in the Atlanta Vision Research Community, with laboratories at Emory University, the Atlanta VA Medical Center, Georgia Institute of Technology, Georgia State University, and Morehouse School of Medicine. He is a co-investigator on several other NIH grants dealing with myopia, retinal pathology, and circadian rhythms in health and disease. He has been an editorial board member on five distinguished journals including the Experimental Eye Research and Molecular Vision. He was named a fellow of ARVO at the society’s 2009 meeting. He has published more than 165 articles in peer-reviewed literature. In 2014, Iuvone published The Retina and Circadian Rhythms(Springer, 2014), along with fellow editors Gianluca Tosini (Morehouse School of Medicine); Douglas G. McMahon (Vanderbilt University); and Shaun P. Collin (University of Western Australia). The book provides a comprehensive review of the retinal circadian rhythms and their roles in photoreception and visual function.